Leon Henley 65, passed away on Mon. March 18, 2019 at North MS Medical Center-Tupelo, MS.
Leon Henley was born to Robert Pack and Estelle Henley Williams in Aberdeen, MS on June 7, 1953. The sun set on Leon on March 18, 2019 at NMMC-Tupelo, MS. In 1972, Leon was united in matrimony to Jessie Mae Clay. 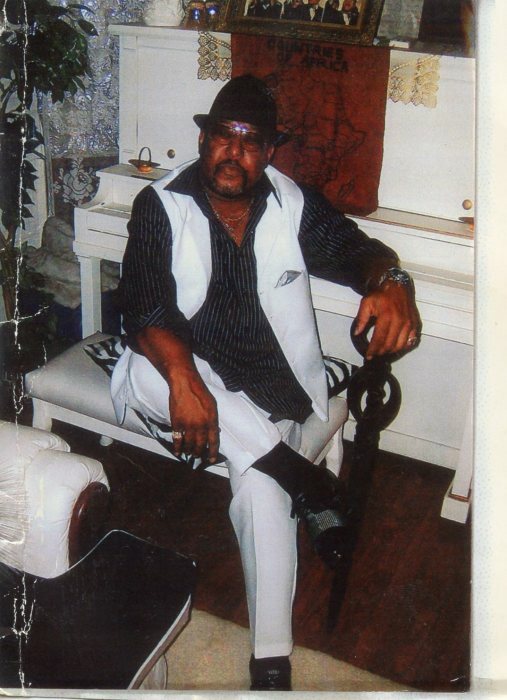 He leaves to cherish his memories; his wife, Jessie Mae Henley; two children, Jessica Doss (Marcus) of Hampton, GA and Jonathan Henley of Aberdeen, MS; two Siblings, Clinton Williams (Henretta) San Antonia, Texas and Olivia Carr (Terry) of Charlotte, North Carolina; three grandchildren, Jada Doss and Kendyl Doss, both of Hampton, GA and Jonathan Henley, Jr of Aberdeen, MS. Leon also leaves to cherish his memory a host of nieces, nephews, relatives and friends. Leon is preceded in death by his mother Estelle Henley Williams and brothers, Willie J. Willis Williams and Clarence Wilson (Dorris) Williams. Words cannot express how grateful we are for the richness of his life and the love displayed by all of our friends. Whether you said a prayer, made a phone call, sent money, prepared food, gave a hug, or just kept us in your thoughts and prayers. Leon's family wishes to thank you for your loving concern. We pray God continued blessings on each of you.